Parasite is a word almost always used in a negative way, the implication being the parasite is unfairly living free of charge at the expense of the host. This is true both for a flea living on a cat and a 30-year-old teacher still living in her parents&apos; house. There is also parasitic architecture, something I have long been interested in, and I suggest it deserves to be viewed more positively and constructively. One of the most familiar forms of parasitic architecture is the business occupying an arch of a railway viaduct. Nineteenth-century viaducts were not designed with the intention of creating space for businesses. The structural form of repetitive arches was simply the way to minimise the number of bricks necessary to carry a train from A to B. But, when a viaduct was built through a town, its by-product was a series of potentially commercial spaces. They were often (but not always) in a less attractive part of the town, had limited daylight and services and were often damp. Consequently, the arches were usually cheap to rent and supported businesses which could not afford to be in a conventional building in a pricier part of town. For these reasons, urban railway viaducts are not normally thought of as respectable architecture and the businesses inside their arches will not usually be found in the property pages of newspapers like the Birmingham Post. But across the country there are thousands of small enterprises and start-ups in railway arches which contribute both to our convenience and quality of life and also significantly to local economies. Some of these are well-established but everyday businesses like car repairers but some are innovative new enterprises. The renowned urbanist Jane Jacobs, in her book &apos;The Death and Life of Great American Cities&apos;, made the vital economic point that, while old businesses can often afford to pay to be in new buildings, new businesses can only use old buildings which have already amortised their capital cost and are cheap to rent. The landlord for occupants of viaduct arches is Network Rail. 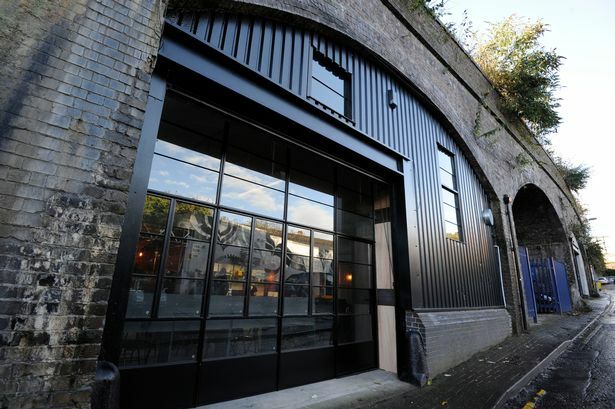 Network Rail is planning to sell its property arm, including around 5,500 railway arches, which is said to be worth about £1.2 billion. A national umbrella group of traders, Guardians of the Arches, says the move will lead to exorbitant rent rises, claiming increases of up to 350 per cent. It is asking Transport Secretary Chris Grayling to intervene. Jane Jacobs wrote that "What cities manufacture is diversity", meaning diversity of economic activity. Why is the fine design of Port Loop lost on those who should know better? One of her four conditions for creating urban diversity is a plentiful supply of old buildings, where small businesses, whether old or new, can prosper. This fundamental and vital fact is often not understood by politicians, town planners and large landlords like Network Rail. A disproportionate amount of attention and importance is instead paid by them to big businesses occupying big units of new accommodation, which incidentally often result in the demolition of usable old buildings. Look, for example, at the publicity given to the imminent arrival of HSBC at its large new building in Broad Street. This is good news for the hundreds of people who will have jobs there but it will do next to nothing to increase the functional and economic diversity of the city or to improve the daily quality of life of those who live here. The railway viaduct arch is an illustration of the direct relationship which can exist between architecture and the urban economy. They, and other amortised old buildings, simply enable small businesses to exist. Some of those small businesses grow big. I am writing this on a Hewlett Packard laptop. Bill Hewlett and Dave Packard&apos;s business started in a car garage because they could not afford to rent commercial space. Digbeth, spanned by three separate railway viaducts, is a neighbourhood with a relatively high proportion of businesses in railway arches. They contribute to the small-scale diversity which is the characteristic quality of Digbeth - the often-surprising juxtaposition of uses and activities. On Shaw&apos;s Passage, underneath Moor Street Station and a stone&apos;s throw from where HS2 trains from London will slow to a halt, can be found Motormech, a car repair workshop occupying two arches. In the next arch is Kilder, a cool black bar and café and next door are the celebrated burgers of the Original Patty Men. They are regulars at Digbeth Dining Club, housed in another arch further down the line. Next is a "global gaming arena", in an arch which not long ago accommodated a church. This kind of diversity is what cities are for and should be cherished and valued. Here, it has grown naturally through incremental enterprise. But if Network Rail&apos;s plans to raise rents and sell to a big commercial operator go through, the attractive diversity of Digbeth and similar districts will be under threat. Of course, Network Rail&apos;s plans are alongside a bigger threat to Digbeth&apos;s diversity which is the arrival of the HS2 terminal at Curzon Street. Land and building values are going up in anticipation and the danger is that Digbeth will become part of an increasingly homogeneous city centre, both in its building scale and in its land uses. It is a conservation area whose old buildings cannot be demolished without planning approval and its management plan is currently being rewritten in the city council. There is a difficult but vital job to be done here: to ensure that investment in the neighbourhood is made but in such a way that its scale and diversity is maintained and not obliterated.